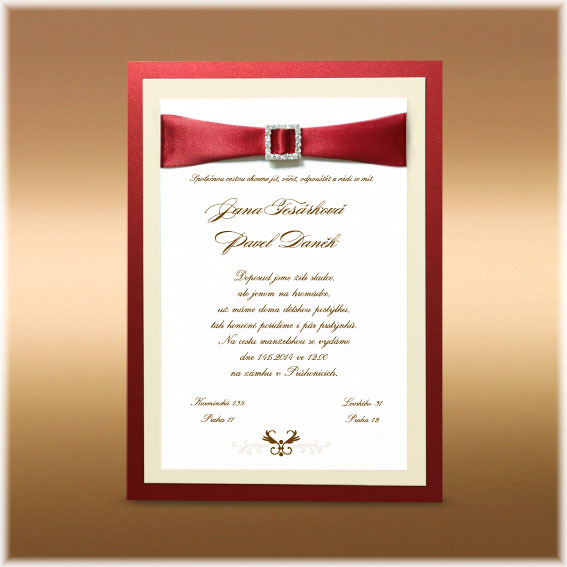 Luxury cheap wedding invitation. Three papers together embelished by ribbon and stras buckle. 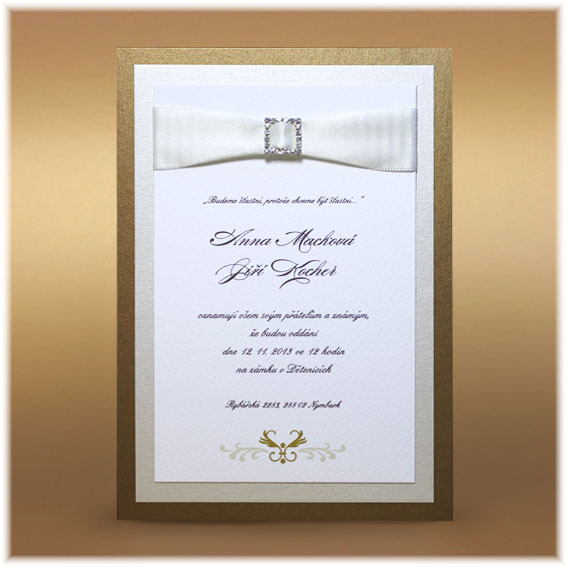 Papers are pearl ancient golden, pearl ivory and white structured.